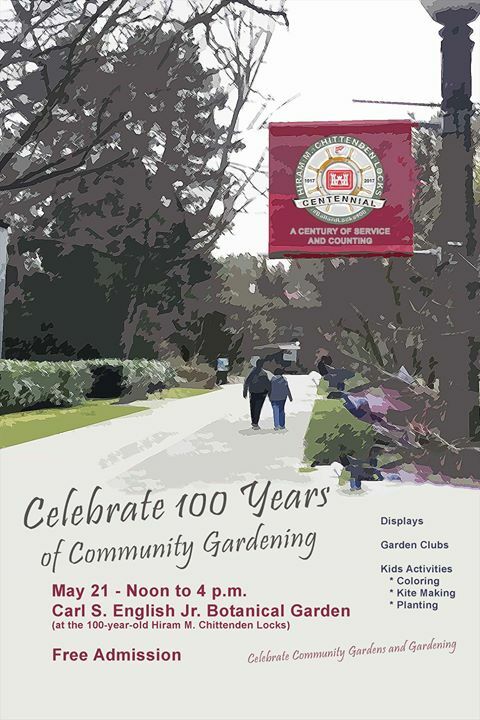 This weekend, May 20th and 21st will have a special celebration of Community Gardening, along with other activities and displays at the Locks. The Carl English Botanical Gardens certainly benefits from its many volunteers who help out throughout the year, not to mention the benefits enjoyed from the visitors who come from all corners of the globe to take in the beauty of the gardens and many activities happening around the clock at the locks. The Administration Building has displays from local historical and neighborhood groups and our local HistoryLink with their Waterlines map, which was part of the Waterlines exhibit at the Burke Museum. There will be some local volunteers and historians present from 1:00 to 3:00 pm, to answer questions and talk about some of the items on display. Bring your own stories and curiosity and enjoy another weekend at one of Seattle's most popular attractions.